Wear one by one, color by color, or mix 'em for the most festive look. 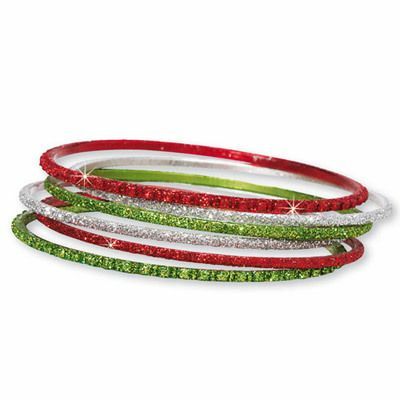 Light, glittery aluminum Christmas bangles even make a festive sound as they jingle on your wrist. Set of 6 includes two each: red, green and silver tone. 4" dia.